Peloso made his debut at age ten under the direction of composer Luciano Berio. He has performed as a soloist with orchestras, in recitals and chamber music concerts extensively throughout Europe, most notably at Kuhmo Chamber Music Festival in Finland, Martha Argerich Festival in Switzerland, Music Concert Society of Milano, House of Music in Moscow, Sun Festival in Singapore, Archipel Festival in Geneva, Musicus Fest in Hong Kong, Festival of Cannes in France, and Weill Hall in New York. Peloso is a Sony Classical artist and has recorded sonatas by Respighi and Busoni with pianist Bruno Canino in New York. Peloso has also recorded sonatas by Saint-Saëns and Poulenc for the National Suisse Radio. Hungarian born Huba Hollókői began his musical studies as a violinist. Playing since the age of four, he has received several prizes from notable national and international solo and chamber music competitions. 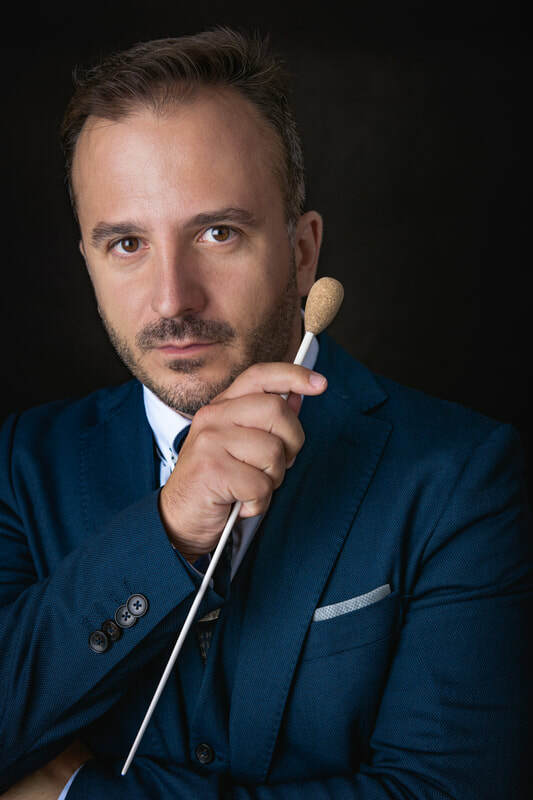 As a conductor, Hollókői has already worked with most leading Dutch orchestras, including Netherland Philharmonic Orchestra, Residentie Orkest, Noord Netherland Orchestra, Holland Ballet Orchestra, and was assistant conductor of Semyon Bychkov with the Concertgebouw Orchestra. Between 2015-17 he was assistant conductor of the Netherlands Radio Philharmonic Orchestra, where he worked closely with Markus Stenz, Edo de Waart, John Adams, Vladimir Jurowski, among others. In 2017 he had his debut concert in Het Concertgebouw with Philharmonie Südwestfalen. He conducted new music on the ”Iubiți Muzica Româneasca!” Festival in Oradea, and shared performances of Bizet's Carmen with Ville Matvejeff and Jyväsklyä Sinfonia. Recently he worked with Slovak Sinfonietta, MAV Symphony Orchestra and the Danubia Symphony Orchestra in Budapest, with Sonderjollands Symfoniorkester (Denmark), Sinfonia Lahti, Filharmonica Banatul Timisoara and Arad Filharmonia in Romania, and with Orkest van het Osten in Enschede. As an opera conductor, he received excellent reviews with Mozart’s Magic Flute, Verdi's Rigoletto in Finland, with Don Giovanni and Anne en Zef (by Monique Krüs) in the Netherlands. He led the ballet productions by The Dutch Don't Dance Division in The Hague for two seasons.